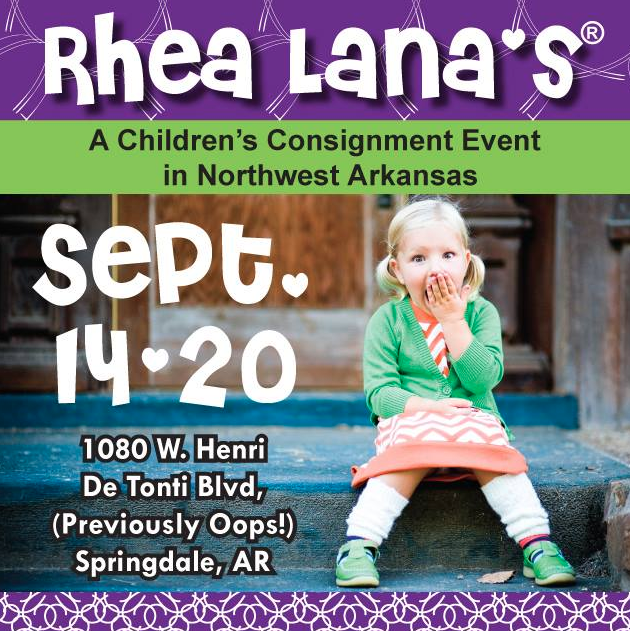 Friends, I wanted to pop in really quickly and let you know that Rhea Lana's consignment event is going on right now until September 20 here in Northwest Arkansas! I had the privilege of being able to shop the preview on Friday night and let me tell you - AMAZING. Here's the thing about spending a fortune on designer labels for kiddos...it's silly. Now, I might splurge once and a while for special occasions or family photos, but I refuse to drop $90 on a Persnickety dress for everyday wear. It's just not practical, you know? But a Persnickety dress for $15? Um, done and done. 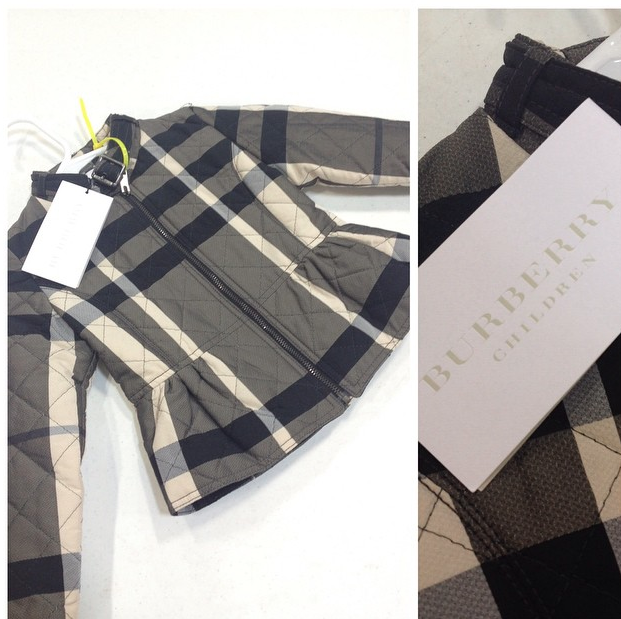 Owner Ashley found this new-with-tags genuine Burberry coat (originally $450) in the pile. Sold at Rhea Lana's for only $20! 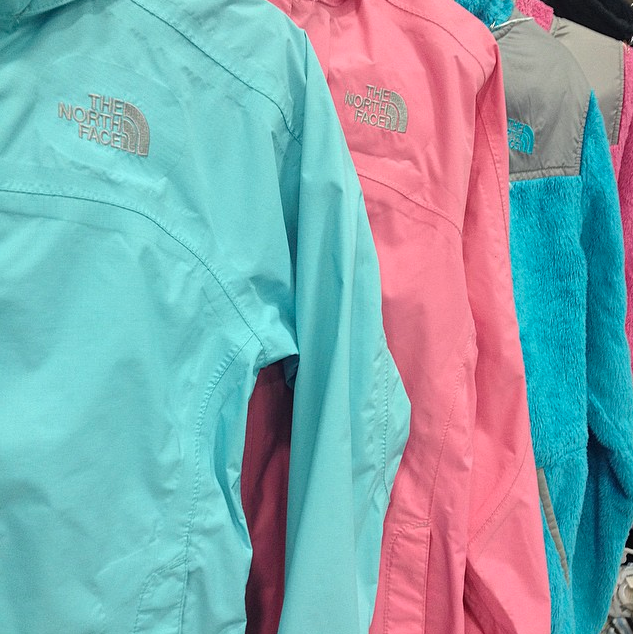 Some new and very gently worn toddlers' and kids' Northface jackets hanging on the racks at Rhea Lana's of NWA. 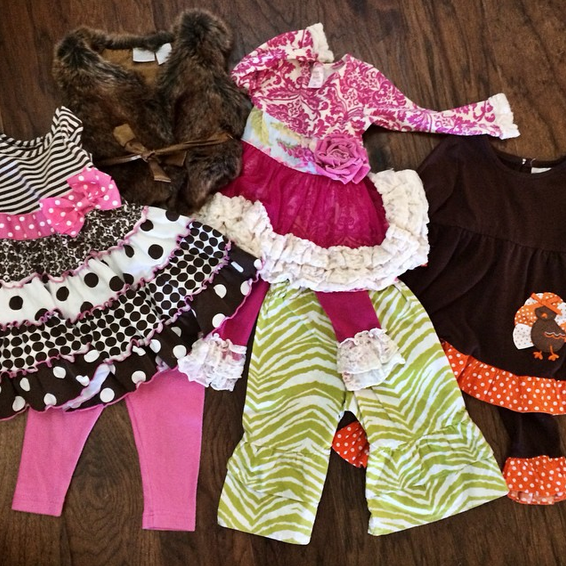 Rhea Lana's has everything you need for your babes including clothing, gently used toys and furniture, shoes and more - all at prices you won't believe. For instance, a genuine Paty gown runs about $30 online. I got Ainsley's on Friday for $3! True story, folks. That's all. Go forth and shop Rhea Lana's of NWA if you're in the area between now and September 20. See y'all tomorrow right back here.